AJC slams the idea of creating a database of Muslims one day after Trump's chief-of-staff said there were no plans to create one. The American Jewish Committee slammed the idea of creating a database of Muslims in the United States one day after President-elect Donald Trump's recently named chief-of-staff said there were no plans to create a religion-based registry. 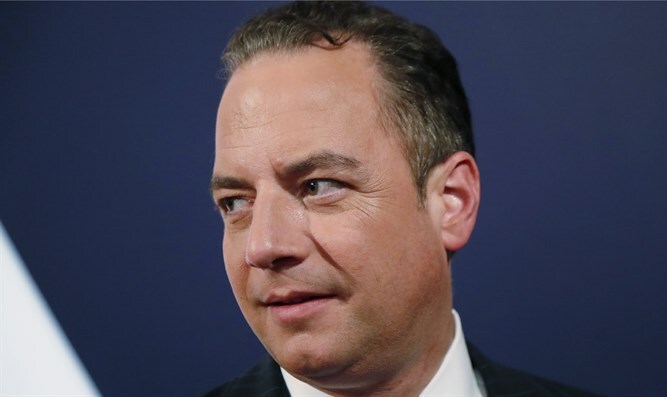 "Look, I'm not going to rule out anything," Trump's appointed chief of staff, Reince Priebus, told NBC on Sunday, when asked if would "unequivocally" rule out the idea. "We're not going to have a registry based on a religion. But what I think what we're trying to do is say that there are some people, certainly not all people ... there are some people that are radicalized. And there are some people that have to be prevented from coming into this country." Trump said last year that he "would certainly implement" a database system that tracks Muslims, and there have been recent reports that Trump's transition team is considering the idea. The president-elect has also called for a ban on Muslim immigration to the U.S. The American Jewish Committee on Monday denounced the proposal. “Singling out any ethnic or faith group to register with the government is both morally repugnant and unconstitutional,” the group's CEO, David Harris, said in a statement. Last week, the Anti-Defamation League's CEO and national director, Jonathan Greenblatt, said he would sign up as a Muslim if a registry was created.